SACRAMENTO, Calif. - This September, food and wine enthusiasts will be flocking to the epicenter of the country&apos;s farm-to-fork movement for the culinary party of the year. From Sept. 13-28, Sacramento will host the annual Farm-to-Fork Celebration, a two-week extravaganza highlighting the bounty of fresh foods and thriving agricultural community that cement the region&apos;s title as America&apos;s Farm-to-Fork Capital. 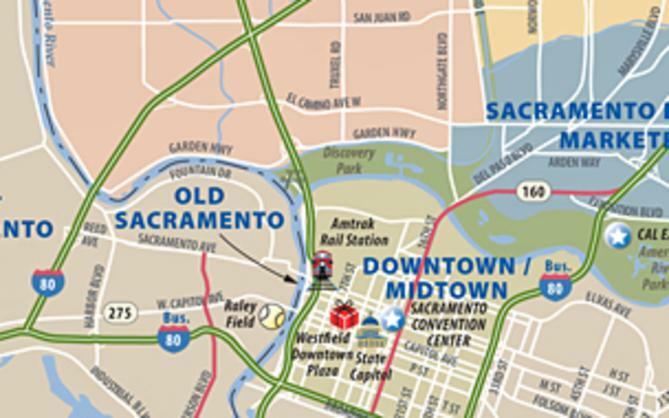 "September is an exciting time in America&apos;s Farm-to-Fork Capital," said Mike Testa, senior vice president at the Sacramento Convention & Visitors Bureau. 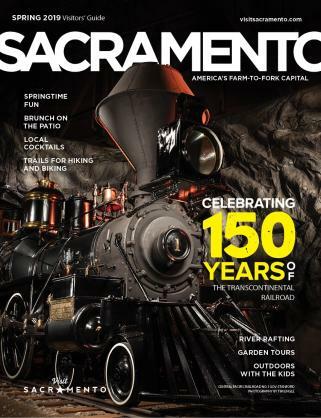 "In Sacramento, we highlight our local food and agricultural landscape throughout the year, and the Farm-to-Fork Celebration serves as the perfect opportunity for both our residents and visitors to really immerse themselves in our farm-to-fork culture." Farm-to-Fork Restaurant Weeks (Sept. 13-Sept. 28) - Presented by the California Restaurant Association Sacramento chapter, Farm-to-Fork Restaurant Weeks are a celebration of the region&apos;s premiere dining destinations, in addition to the bounty of seasonal ingredients found in the area. The two-week event will showcase the Sacramento region as the culinary powerhouse that it is, with area restaurants hosting special events, menus and opportunities to meet the farmers, winemakers and brewers who make Sacramento America&apos;s Farm-to-Fork Capital. A listing of participating restaurants will be coming soon to farmtoforkcapital.com/restaurantweek. Farm-to-Fork Legends of Wine (Sept. 18) - Oenophiles will have the unique opportunity to sample and discover more about some of the region&apos;s most celebrated wines, as selected by two of Sacramento&apos;s internationally recognized culinary powerhouses - Darrell Corti and David Berkley. Set against California&apos;s majestic State Capitol, guests will sip a wide array of award-winning varietals paired and presented with artisan cheeses and more local delights. Tickets and more information are available at farmtoforkcapital.com/wine. Farm-to-Fork Festival (Sept. 27) - Designed to demonstrate where our food and drinks come from, the Farm-to-Fork Festival has proven to be one of the region&apos;s most popular events. The free faire hosted on the city&apos;s iconic Capitol Mall boasts an exciting selection of farm-to-fork offerings that are produced and available in the Sacramento region. Attendees will find food, wine and beer from regional eateries and purveyors, as well as live music, cooking demonstrations, a kids&apos; zone, interactive booths from local grocers, farms and ranches and more. The inaugural festival in 2013 drew more than 25,000 people, and this year&apos;s event is expected to draw even more farm-to-fork fans. Visitors can find more information about the 2014 festival at farmtoforkcapital.com/festival-info. Farm-to-Fork Gala (Sept. 28) - The Gala serves as the Farm-to-Fork Celebration&apos;s finale, with hundreds of diners enjoying a locally sourced meal on the Tower Bridge, adjoining Sacramento and Yolo counties. Guests at the family-style dinner will be treated to a feast prepared by more than 30 top area chefs overseen by Chef Jason Poole of the Hyatt Regency Sacramento and Brian Mizner of Hook and Ladder. The dinner menu highlights diverse, in-season offerings. Proceeds from the dinner go directly to fund the free Farm-to-Fork Festival. More information can be found at farmtoforkcapital.com/farm-to-fork-gala-dinner/. Hungry yet? These events only offer a sample of the exciting festivities planned for the Farm-to-Fork Celebration. To learn more about what&apos;s to come, visit farmtofork.com.